Crota’s End will test your skills to the fullest, and proper communication and teamwork is key. Once you feel that you’ve established a solid team to take on the new raid with, use this guide to help you through each encounter (chest locations included). Have at least one level 31 on your team. While it’s not technically required, it’ll be much easier to have the level 31+ handle the sword during the Crota fight. If you don’t have any Attack level 331 Exotic weapons, buy one of the new Legendary weapons from the Tower vendors. You’re going to have a rough time without a Defender Titan. Radiant Energy and Radiant Shards are acquired exclusively in the Crota’s End raid. 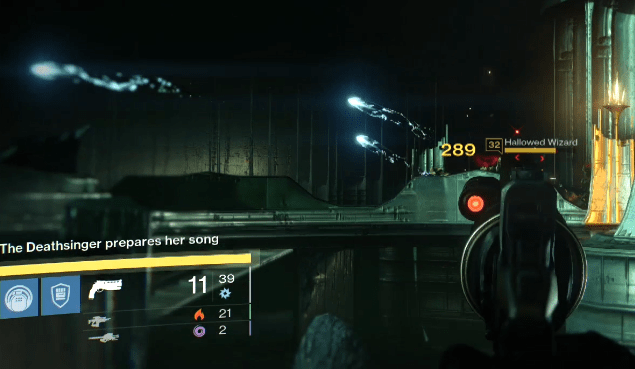 Eris Morn offers the ability to switch out Radiant Energy for Radiant Shards and vice versa. The first thing many day-one raid groups did was run and jump into the Hellmouth only to be greeted by death. In order to safely make it down, your fireteam needs to summon a bridge. Directly in front of your spawn location is a circular plate, similar to the vex portal plates, that your raid group needs to stand on. It will cause a bridge to begin to form. Wait for the bridge to become solid before you attempt to run onto it or you will fall to your death once again. Once the bridge is up, jump into the seemingly bottomless pit. Once you finally reach the bottom, you’ll find yourself in a very dark area with the exception of a light in the distance. These ‘lamps’ are your guides during this portion of the raid. Follow each lamp post, which will get you to the next area. While this sounds very simple, there are several mitigating factors that will (literally) slow you down. First, whenever you are not in the light of a lamp post you will be affected by a stacking debuff called Weight of Darkness. This debuff will stack to 10, causing you to move slower and slower until you can no longer run or jump. You need to move as quickly as possible to each successive lamp post, only waiting there long enough to cause the Weight of Darkness to be reduced. The debuff will be reduced the longer that you stay near a lamp, but it’s important that you move together and not linger at each lamp. If you are near a lamp post for too long it will begin to turn red and then explode dealing high damage to the surrounding area. Throughout this area you will be encountering endless waves of Thrall, so you’ve got to keep moving while you eliminate them. To make this even more difficult, there will often be large holes in the ground that will kill you if you fall in them, no doubt Bungie’s way of getting back at us! Always mind your surroundings, and hug the left/right. The good news is there is only a ten second respawn timer here. At the end of trail you will find another plate, which once again, you’ll stand on to form the bridge. You’re nearly finished with this section, but much stronger enemies will start to rush you now. Make sure to call out any of the stronger enemies and focus on them. 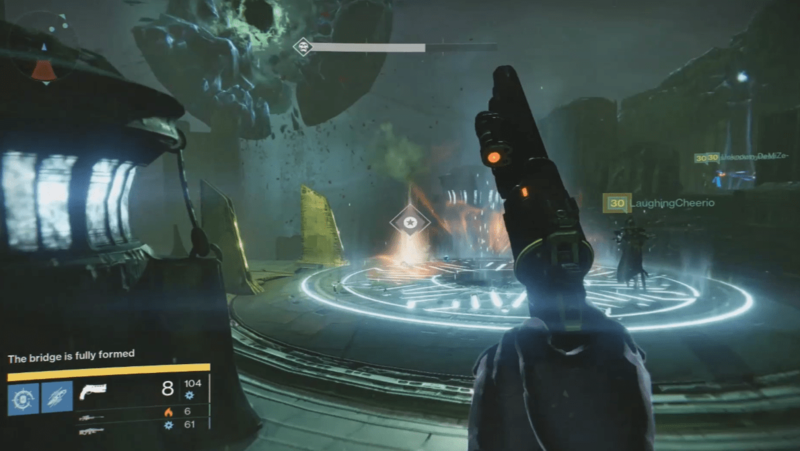 This section of the raid has a few mechanics that you should understand before going in. You’ll start on a raised platform looking out over a large room with a huge abyss, splitting the room. On both sides you can see two towers or beacons. In the middle of these two beacons is a plate just like the ones encountered earlier in the raid. These will help summon a bridge that forms in the floating fire spanning the abyss. 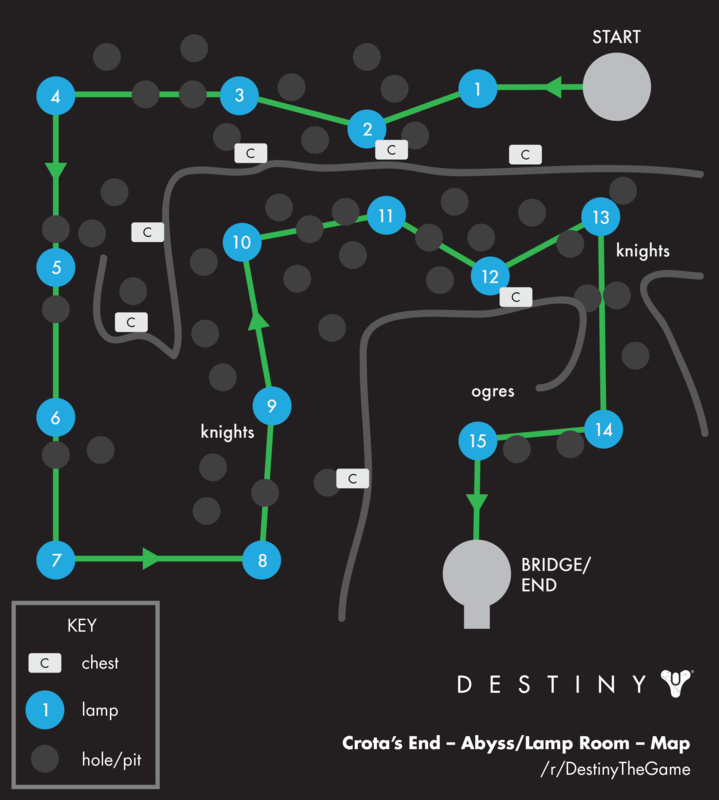 Your group needs to first form the bridge, and then cross it, to proceed into the next area of Crota’s End. This, of course, is easier said than done. There will be three platforms on each side of the bridge. To create the bridge, you’ll need to stand on the center platform. Watch for the Swordbearer, as you’ll need to kill him for the sword, which is needed to successfully cross the bridge; only the person with the sword equipped is able to cross. When a control plate on one side is active, a member of your group needs to be standing very close to each of the nearby beacons aka Annihilator Totems. If no one is standing near a totem when the bridge plate is active, they’ll charge and quickly kill everyone. If the totems get close to detonating (they will turn red), leaving the bridge plate will cause them to reset. The totems are only linked to the bridge plate on their side, and the plate will only affect the totems on its corresponding side. To begin, position two guardians under each totem, and two on the bridge plate. This covers each area and will help keep you from being overrun and causing an Annihilator Totem wipe. Once you begin forming the bridge, thralls and acolytes will begin to spawn. There will also be one Swordbearer knight that spawns. Kill the Swordbearer and have one member of your group pick up the sword. If you have stayed on or near your respective zones, the bridge should be formed by now. Have the Guardian with the sword run across. On the far side, the first Guardian across will be greeted by a Gatekeeper. One Gatekeeper will spawn every time a Guardian kills a Swordbearer. The Gatekeeper can only be damaged with the sword. If you can’t finish him off before the sword despawns, you will have an angry invincible Knight chasing you for quite a while. The best way to kill these knights is with the R1, R1, R2 combo to stun him, or simply just spamming the melee button. Don’t try doing the slam (main trigger) attack. If you aren’t able to kill the Gatekeeper, don’t despair; there will be a chance to clean up this error. The good news is there is two relatively safe spots. Enemies usually won’t approach a totem on this side of the abyss. While you wait for the next two Guardians to cross, there will be several additional enemies that you should deal with, especially the Knights. 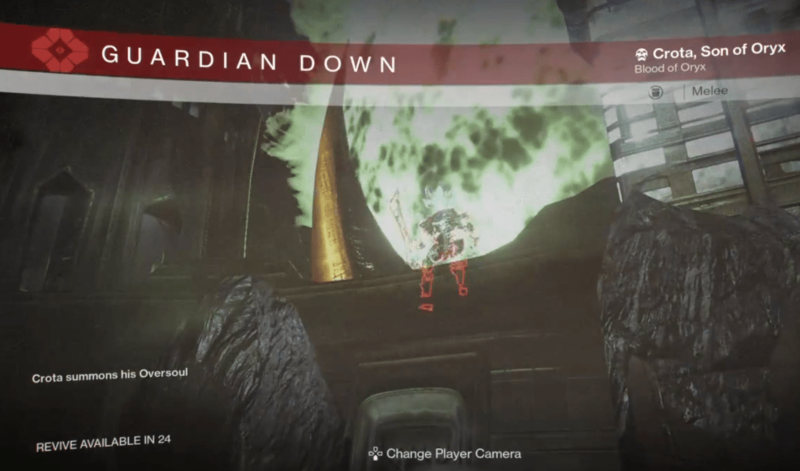 Repeat these actions until your group has three Guardians on both sides. Now that you have three Guardians on the far side you will essentially be doing the same thing, except the three that have crossed are now in charge of summoning the bridge. Just like before, you need to have a Guardian under each totem and one on the bridge plate. Again, kill the Swordbearer’s and use the swords to cross the bridge. Killing a Swordbearer will still cause a Gatekeeper to spawn, so ensure each person is prepared to kill him. The Guardians on the original side must stay off the bridge plate. Standing on the first bridge plate will still activate the original Annihilator Totems which could cause a wipe. 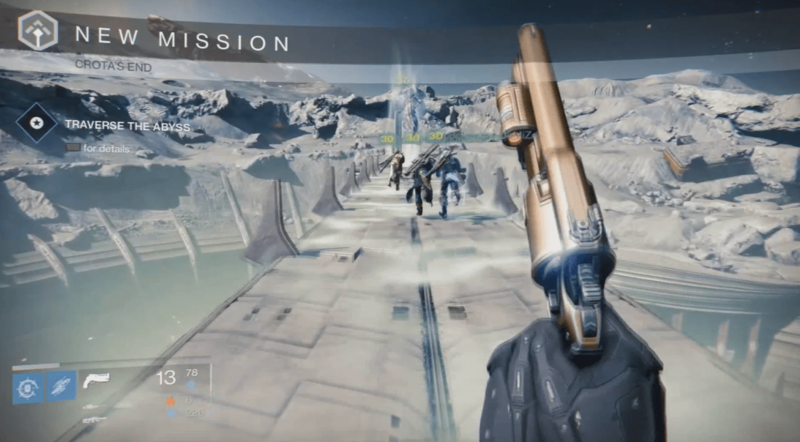 Once all Guardians are across the bridge, run to the far right or left area and get ready to get bombarded with enemies. Knights, Wizards, and Ogres, Oh My! Focus on the two Ogres, then the other enemies will despawn and you will be rewarded with more loot and a checkpoint. The first time you do this, it’s going to feel really hectic. When you see the message: “The Deathsinger prepares her song,” you’ve got roughly three minutes to complete this phase. Defeat the Wizards first, then the Knights, then the Shriekers, and finally the ‘mini-boss’ Wizard Ir Yût. After Ir Yût goes down, you’ll still need to kill most of the Hive. The timer is activated when you kill the 2 initial Knights at the bottom. This will also spawn the Shriekers. Do not kill these Knights until after you’ve killed the Wizards. Each side has one Wizard that comes out when you enter the room they’re in. There are also two Shriekers on each side, and they’re immune until the Wizard on that particular side is killed. Once both Shriekers are dead, the shield to the summoning crystal room goes down; you must kill the Wizards and Shriekers. Focus on the Wizards and then the Shriekers. A Defender’s bubble would be extremely beneficial while you’re in these rooms, as there’s many level 32 Knights that will swarm around you. There’s ledges in the rooms that you can use to avoid damage from the Knights. Once you’ve defeated the Wizards and Shriekers on both sides, you’re now tasked with killing the Deathsinger (Ir Yût). The final boss in the Crota’s End raid, Crota himself. The area where Ir Yût, the Deathsinger initially spawned is where you’ve got to start Crota encounter. 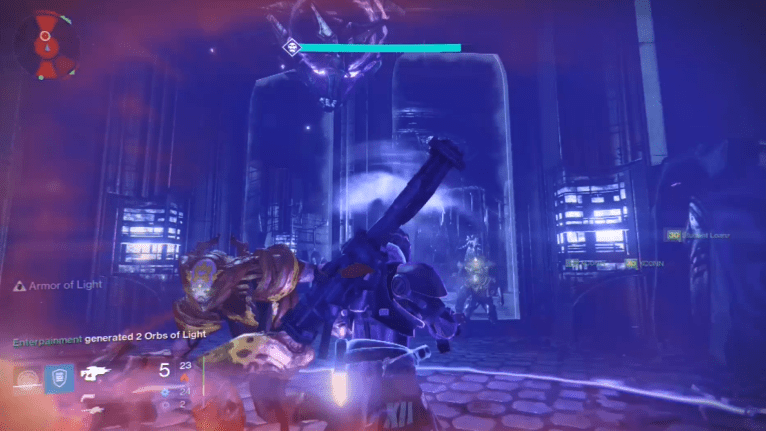 We reached out to the world first team, and they were able to give us some tips for defeating Crota. 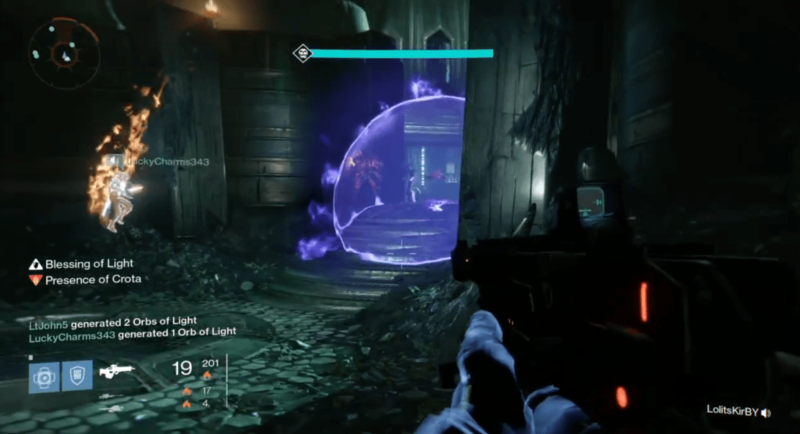 Use your strongest weapons to take down Crota’s shields. After Crota’s shield is down, have the person carrying the sword immediately attack Crota while he’s stunned. To start the fight, each of your group members need to get close to the summoning crystal in the middle. After a few seconds Crota will spawn, and a bunch of Hive will spawn around you. After the shields around you have been removed, you’ll now be able to enter the main arena. The first enemies you encounter don’t pose a huge threat and can easily be ignored. Have someone quickly grab the Chalice of Light, and that person will then meet the rest of the group in the safe zone. This can be shared between each group member, and will regenerate health. You can also use Red Death and/or a Defender’s bubble using the Blessing of Light to regenerate health. It’s very simple to just take the Chalice when you’re in need of health, and the person who has it will be marked with a star. You’ll want to stay in this area (pictured above) because it’s going to protect you from just about everything, as long as you stick close to the walls. Eventually a Swordbearer will come out, and he needs to be taken down immediately! The Swordbearer will drop a sword, which a level 31+ in your group needs to equip. Once the Swordbearer is taken down, everyone needs to focus on Crota to get his shield down. Communicate with the person wielding the sword when Crota’s shield is almost down, so that he can get into position, and then attack Crota after he’s stunned. 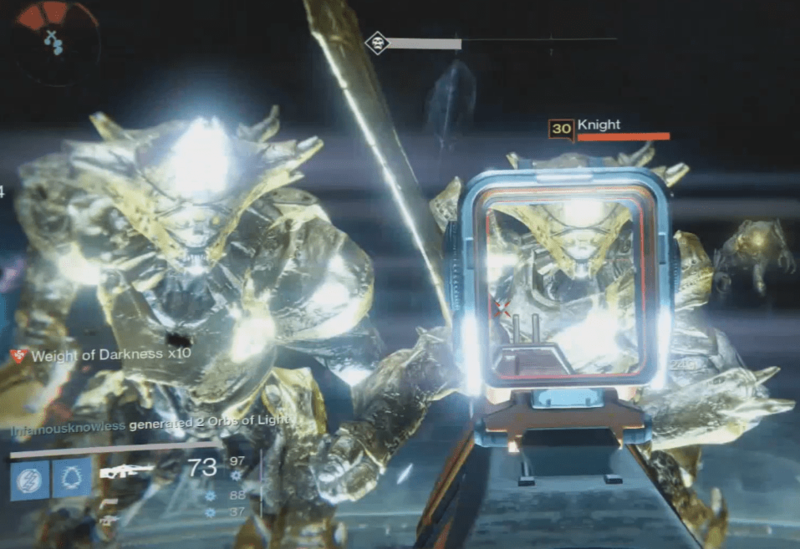 Crota will be stunned for a few seconds after his shields are taken down. At this point, only the sword will be able to damage him. Once Crota is about to get back up, he’ll start to turn slightly orange. At this point, he’s going to be able to kill you if you haven’t got out from around him. This will only spawn when someone dies, and it needs to be killed ASAP. If you don’t kill Crota fast enough, he’ll become enraged, causing him to constantly spawn the Oversoul. If you don’t kill this in time, it will cause your entire group to die. Two Ogre’s will spawn after the Swordbearer has been killed twice. The Ogre’s are going to be a huge threat, but are easy enough to take down as long as you force them into your safe zone and then hit them both at once with rockets/grenades. They need to be taken down ASAP, because the Swordbearer won’t spawn again until they’re dead. There are Knights that spawn regularly on the left and right side of Crota. These need to be sniped down, as they can jump out and attack the person using the sword, or use their Boomer’s. Designate at least one person to take care of these Knights. 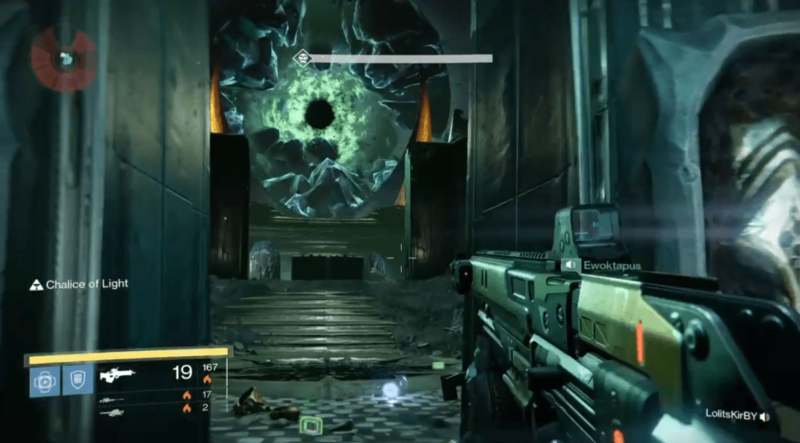 Crota will rotate to the left and right sides. It’s recommended you just wait for him to come back to the middle. As you can see in the video, just waiting in the safe zone and sticking close to the walls, you won’t have to worry about him damaging you. Timing and communication is huge in this fight. 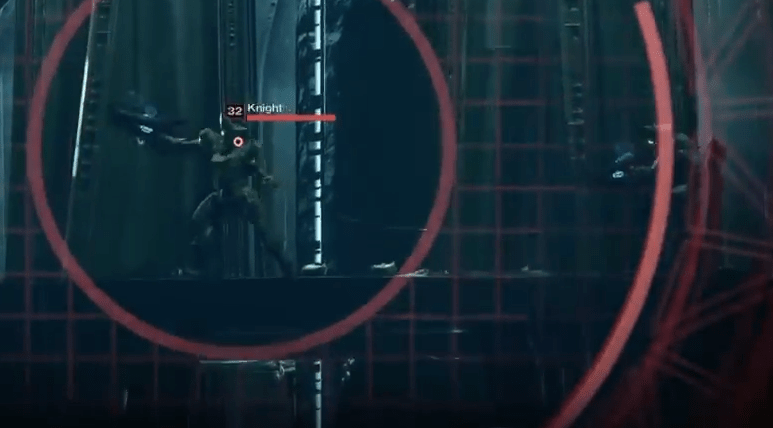 Being able to produce enough damage to take down Crota’s shield is easy, but it takes practice to ensure that the sword-carrier attacks Crota and flees in the allotted time. 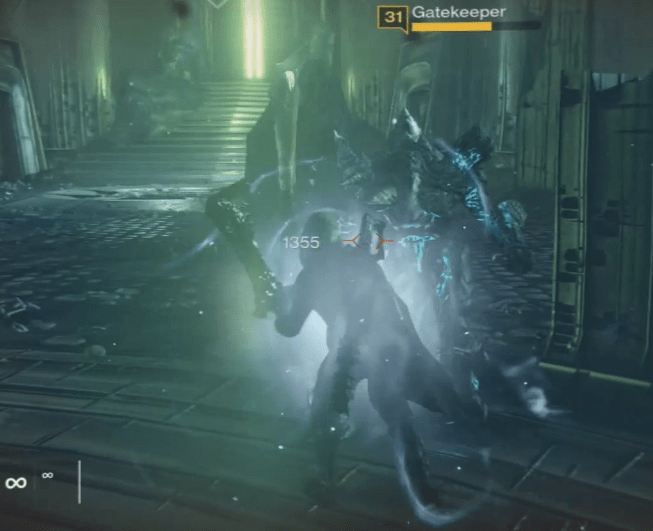 Crota will only be stunned for a few seconds, so communicate when his shields are at 40%, 30%, etc. The sword-carrier in your group will need to be close to Crota when the shield is low, so he can have enough time attack and escape.